Wilsonart high pressure laminates were specified for the interiors upgrade project at a Scott & White Children's Hospital in Temple, Texas, USA. Wilsonart laminates not only enhanced the visual appeal of the hospital but also helped provide an improved patient experience with special features such as rounded edges and non-infectious surfaces. Given that the facility upgrade was being carried out at the Children's Hospital after many years, Scott & White sought a partner that understood their need for durability, ease of cleaning and maintenance, and budget considerations, going beyond mere aesthetics. 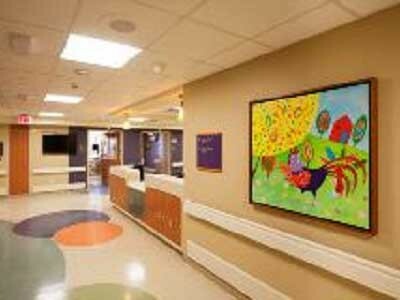 Wilsonart laminates were used for the walls and furniture at the hospital. The upgrade has received excellent feedback from both patients and hospital staff.